Are you a recent graduate ready to make your first big car purchase? If so, you might be looking for a bit of assistance to help you out. 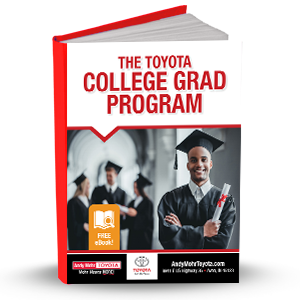 Toyota is happy to give it in the form of their College Grad Program. That first car purchase after college certainly is a fun one. It’s even better when you have a program such as this on your side. Download a FREE eBook today to learn more!